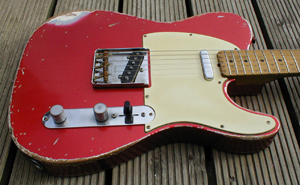 John Elliott of Bravewood Guitars has a passion for Fender® vintage guitars from the 50′s and early 60′s. 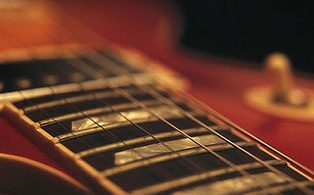 With genuine vintage guitars commanding very high prices, Bravewood Guitars offers instruments that are made as closely as possible to the originals, using the same methods and techniques and the same materials (where possible). 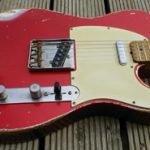 John has amassed a vast knowledge on Vintage Fenders which he puts to good use when building his guitars, which he does from scratch. He makes his own bodies and necks by hand to ensure all the details are accurate and often makes the scratchplates. 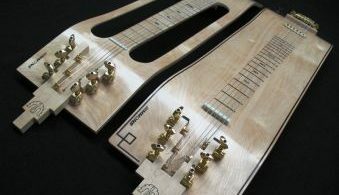 He will also distress the guitars to give them an “aged look”. If you want to own one of those vintage Fender guitars or basses, get in touch with John at Bravewood Guitars.